Janelle Ray Spilsbury, 74, of Mesa, AZ, passed away peacefully on September 5, 2017, surrounded by her family. She was born December 9th, 1942, in Mesa, AZ, to Ellsworth Sims Ray and Betty Pearson. She was the 2nd of 11 children and adored her siblings who she treasured throughout her life. She graduated from Mesa High and married her sweetheart, Ralph Dee Spilsbury, on March 27th, 1964. Her family was everything to her- she was the beloved mother of 8 children, grandmother to 31 darling kids, and great-grandmother to 3 sweet girls. 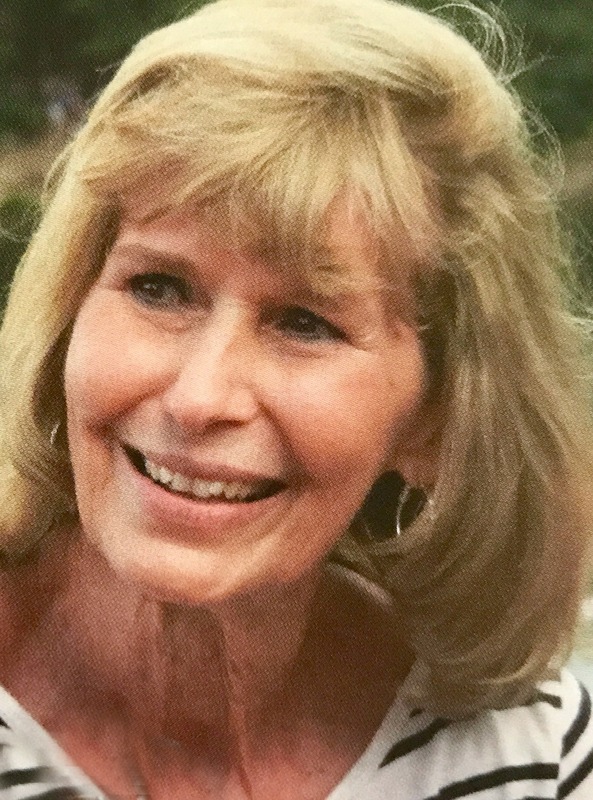 She loved teaching her Montessori preschool to many children throughout the years, including many of her own grandchildren and several nieces and nephews. She enjoyed serving in various callings in The Church of Jesus Christ of Latter-day Saints, but being in Primary with the children was always her favorite. Janelle’s deep-rooted love for her Savior Jesus Christ was apparent to all. She poured out light and love to everyone with whom she came in contact and served them with all of her heart. She was truly an angel on this earth and will be deeply missed. She is survived by her husband Ralph, children Laura Jepson (Rick), Dave (Patti), Susie Petkovsek, Jeremy (Julie), Holly Eddy, Greg (Chelsea), Megan Turnbull (Josh) and 9 siblings. She was preceded in death by her parents, brother Stephen Ray, son Aaron Eric, and grandson Chad Petkovsek. There will be a viewing Friday, September 8th from 6-8 PM at Bunker’s Garden Chapel, 33 N Centennial Way, Mesa. Services will be held Saturday, September 9th at 10 AM, with a viewing at 9 AM, at the LDS Chapel located at 1911 N. 24th Street (McKellips and 24th Street), Mesa, Arizona. We are so very sorry for your loss, Greg, Chelsea and family…and all who knew her. We never met her, but she must have been a wonderful mother to have raised such a good son as Greg. Please accept our sincere condolences. Living in Pennsylvania for 6 months every years puts me out of touch with much local news. I was stunned at the news of Janelle’s passing and feel the loss from here. We attended school together from the 7th grade on and she’s always been a beacon of goodness and leadership and love to Dian and me. Whenever Janelle arrived at anything, things got better. I particularly remember her input and good vibes during our 50th Mesa High Class Reunion planning meetings. She is just the best! May the Lord bless each of her family members with great peace knowing, as they do, that she’s exactly where she should be…as usual. Sincere condolences to our dear friend Ralph and his entire family. We loved Janelle and have cherished our association with her for many years. Ralph, we love you as well and our thoughts and prayers are with you. Ralph – we send our Love and sympathies to you and your sweet family. Janelle was a sweet and genuine example of Christ like love and we will miss her greatly! We are so sorry a to learn of Janelle’s passing. She was such a lovely soul and her light here on the earth will be greatly missed. We extend our love and prayers for you, your family, and her brothers and sisters. We LOVE the Spilsbury Family. Janelle is an angel and we appreciate the influence she has had on us and our family. Ralph, we love you and send our condolences to you and your entire family. Anyone who associated with you and Janelle were fortunate and blessed. My condolences to the family, I never met Janelle, but know her husband from childhood vacations when he chased me and my brother with live scorpions he collected and kept on a net hammock…We are first cousins to Ann, Morgan, Michele Spilsbury. GOD has a plan for each and In GOD We Trust! We will miss Janelle greatly and wish we could be with everyone to celebrate and remember her amazing life. Did not know your sister Melody, but from her obituary, she sounds like a very delightful, dedicated and a sincerely heartfelt person. Our condolences to you and your entire family for your loss. I know you will truly miss her, as I have had to experience the loss of a sister as well. May God’s love and peace be with you and your family at this time. My condolences to the family. When losing a loved one it can be unbearable. That is why God has provided scriptures in the Bible to help ones cope with the loss. In the Bible book of Isaiah 25:8 Jehovah God promises soon to “swallow up death forever.” He also promises to bring back those who have fallen asleep in death (Acts 24:15). In a little while longer this kind of pain will be a thing of the past (Revelations 21:4). May these scriptures, along with the beautiful memories of Janelle, bring you comfort in this difficult time. What a wonderful woman Sister Spilsbury was always kind and loving. As a little girl I always wanted her to be my Mommy. Susie and family I am sorry for you having to say goodbye to your Mom. I love you all! Oh how we LOVED Janelle and will miss her so … We wish we were not 10,000 miles away but our ❤️S are there with you Ralph and family!!! ❤️All our love…..
I’m so sorry to hear of Janelle’s passing! She was my son’s Montessori preschool and kindergarten teacher, and I knew at the time how blessed he was to have such a caring and loving influence. He still remembers Miss Janelle as his favorite teacher. My thoughts and prayers go out to the entire family; you were blessed beyond measure to have her in your life. An angel on earth if there ever was one! God bless the entire family and may you all find peace through your deep and trustworthy faith 💖 And one another.